Each book review from GCDenwiddie.com examines the graphics (cover and pictures), plot (including the ending), diversity, themes, and overall kidability. By kidability, I mean would my liberal-arts educated, at-times-bougie, social-justice-seeking self recommend this book to other people? 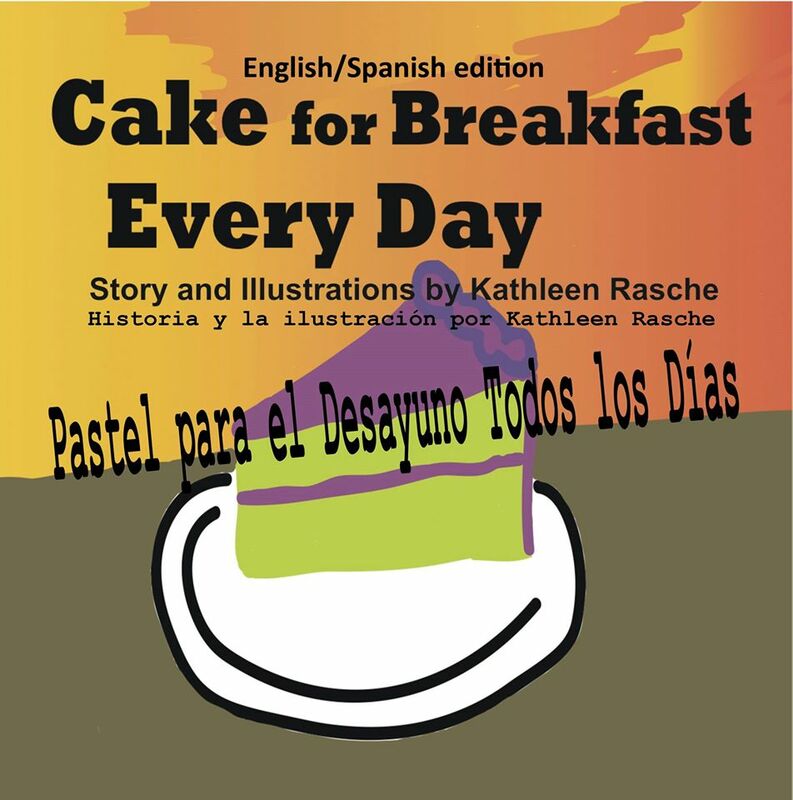 Cake for Breakfast Every Day was written and illustrated by Kathleen Rasche! The illustrations are simple, but cute. If Cake for Breakfast Every Day is ever picked up by a traditional publisher, and I think it should be, I’d love to see a different, more complex interpretation of the text in 2.0. Nevertheless, the illustrations convey the message of the story. The premise of the book is cute, but effective. The ginger-headed main character (I love it!) explains all the things she’d do if she lived by herself, like eat cake for breakfast every day. My favorite scene is when the character says she would leave the lights on all the time! I love that because my dad was a light policeman, and I’m the same way so I can relate. The book starts off with the character expressing all the fun things she’ll do if by herself without any parental supervision. The second half shows what things she’d miss once she lived by herself, like no one kissing her boo-boo if she gets hurt, or no one reading bedtime stories at night, or no one giving her hugs to name a few. The book ends with, “If I lived with you, I’d be loved.” and the main character realizes having parents around may not be such a bad thing after all. This book is diverse because it’s a Spanish language book. I think it’s perfect to teach your child about Spanish. As it’s a picture book, the book can be used for small ones ready to devour another language up to tweens who are learning introductory Spanish as well. The book is also available in French and Chinese and will be available in Italian soon. I like the premise of the book, and when read together, you and your baby can talk about what they’d do if you weren’t around to parent. Hopefully, your child will be able to see the role you have in their life when you finish the discussion, and you can see the role they have in your life, so you both can appreciate each other more. The best feature of the book is it’s language duality, and for that reason, you should purchase it to be read via hard copy or epub. The hard copy version of the book has more illustrations, but the epub version of the book can be read on a tablet or cell phone reading app like Kindle or Google Play. The author’s intention behind the book was to create a reading experience that bilingual students and parents can experience with each other. As a former newspaper reporter in Florida, Ms. Rasche noticed there was a need for Spanish speaking families to have books that parents and children can read together. As a person who wants to support people who want to be the change they see in the world, I love this, and I think the book is worth a looksie. Learn more about the book, watch the book trailer, and order Cake For Breakfast Every Day at cakeforbreakfasteveryday.com. Thanks for reading and be sure to subscribe for more awesome #kidlit book review! What is Draft 2 Digital? Hint, Move Over Smashwords.